The Zeus malware, also known as the ZeuS or Zbot, is a Trojan Horse used to steal confidential information from the victims’ computers. The primary ways by which Zeus malware infects a computer are through phishing attacks and drive-by downloads. The Zeus Trojan was first detected when it stole confidential data from the United States Department of Transportation in the year 2007. By March 2009, Zeus Trojan became the most widespread malware across the web. Large corporations such as the NASA, ABC, Play.com, Bank of America, BusinessWeek, Monster.com, Amazon, and Cisco were some of the victims of Zeus Trojan. What does Zeus Malware do to Computers? The Zeus Trojan infiltrates a computer through spam emails and compromised websites. Spam emails which appear to be from legitimate sources are the primary methods by which Zeus Trojan is spread. Once inside the victim’s computer, Zeus Trojan virus can automatically collect passwords from a Protected Storage. It can even take complete control of the victim’s computer. By hijacking the victim’s computer, Zeus malware uses the host computer to download more malicious files or to disturb the normal functioning of the victim’s computer by shutting down, rebooting, or by deleting critical system files. Usually, Zeus Trojan creates a botnet, which is a network of individual computers infected with malicious programs. Hackers manage these botnets as a group without the victims’ knowledge. The botnet enables the hacker to gather massive amounts of information or execute large-scale cyber-attacks. Zeus Malware is hard to detect even with an up-to-date antivirus as it uses stealth techniques to hide among other programs. Hackers can create their own versions of Zeus Trojans and use stealth techniques to hide them, making it difficult to detect. Prevention is better than cure; it is advisable to practice safe Internet habits. It is the first and foremost thing for staying safe from any malware attacks including Zeus malware infiltrations. Avoid visiting unknown and suspicious sites. You should avoid sites which host adult content, illegal downloads or illegal free software as they may side-load malicious software onto your computer. Avoid clicking on social media messages or links in spam emails. Be cautious when opening e-mails or attachments from unknown sources. Back up your files on a regular basis to avoid data loss at times of infection. 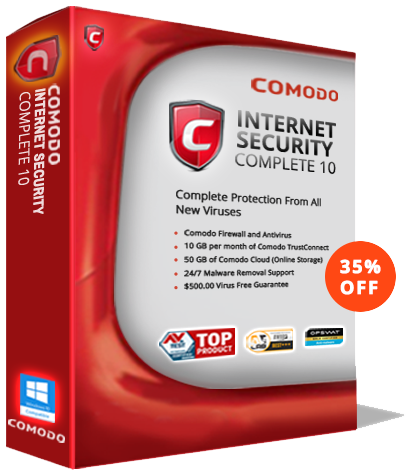 Comodo is a reliable brand in the security world, and Comodo Antivirus is one of the most popular free virus protection and virus removal software. Features such as the “Default Deny” approach, simple UI, cloud-based antivirus engine, Auto-Containment of malicious or unknown file types, etc., make it an excellent choice for users who seek free virus protection. Any malware including Zeus Trojan can be quickly contained and removed with the help of Comodo Antivirus. Try Comodo Antivirus today! It is much more than an antivirus software as it helps combat the modern-day malware and zero-day threats. Apart from Comodo antivirus, no other security tool or technology will completely protect your computer from the ever-evolving array of cyber-attacks from savvy hackers.